Nintendo hasn't been too keen on letting us mere mortals stroke the Wii U, as no amount of coins could unlock the console's cabinet at E3. Surprisingly though, Inside Games managed to get up close and personal to this white box outside its little cave, and then came home alive with a few clear shots. 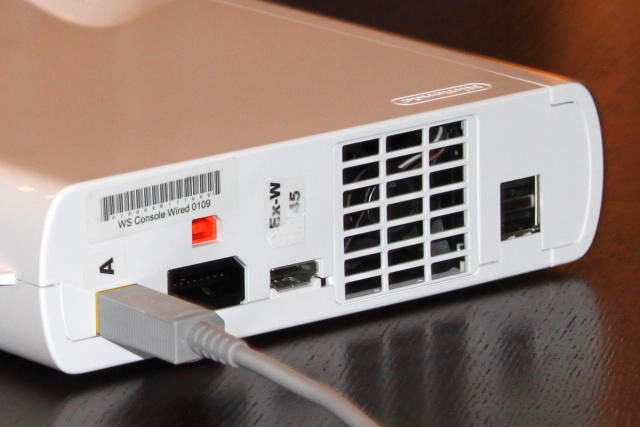 Mind you, there's hardly anything exciting here: we're just gazing at some air vents on the side and back, plus a few ports -- including HDMI -- on the latter. As pointed out by our brethren over at Joystiq, only time will tell whether this curvy Wii U will come with an attachment to imitate its predecessor's vertical standing. Check out the backside after the break.